El Pinacate and Gran Desierto de Altar National Biosphere Reserve represents a large and pristine desert landscape with a rich biodiversity. 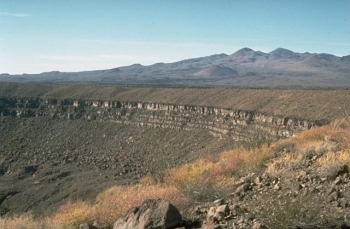 The site comprises two parts: the Pinacate shield, a dormant volcanic area, and Gran Altar Desert with its active sand dunes that can reach 200m in height. This WHS is located in the Sonoran Desert, in the Mexican state of Sonora and on the national border with the USA. I began 2017 with a return journey to Sonora, Mexico and the stunning "Reserva De La Biosphera El Pinacate Y Gran Desierto De Altar". I was determined on completing two specific hikes/drives, which I missed during my first visit in March 2014. First, I wanted to hike to the dunes and second I wanted to see the reserves iconic otherworldly craters. We were graced with rain the previous night before our visit, which turned out to be a special surprise. From the visitor center, you can take a 3km dirt road to a small parking lot to begin the hike. The road begins in a strange way, but its well-kept. the hike itself takes between 1.5 - 2hrs, depending on how often you take pictures and how far you want to go. 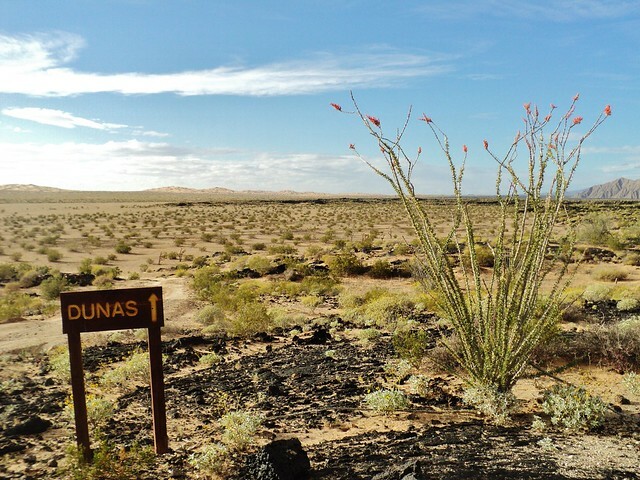 Once you make it up to the summit of the nearby dunes you will have a great view of El Pinacate, and in the distance you can sea the Gulf of California. No other hikers made the journey. In fact, only a handful of people made it to the visitor center in the couple hours we were in this section of the park. Most Arizona travelers are purpose-bound for the drinks and resorts in Puerto Penasco (Sandy Beach). I felt like I was the slowest driver on the highway, since I followed the (kilometer) speed limit, perhaps the Americans thought it was miles! El Pinacate receives less than 4 inches of rain per year, and its just so happened a good portion of that rain fell the night before our visit.  Unique results inevitably occur when rainwater is present in a park that's known for its dryness. 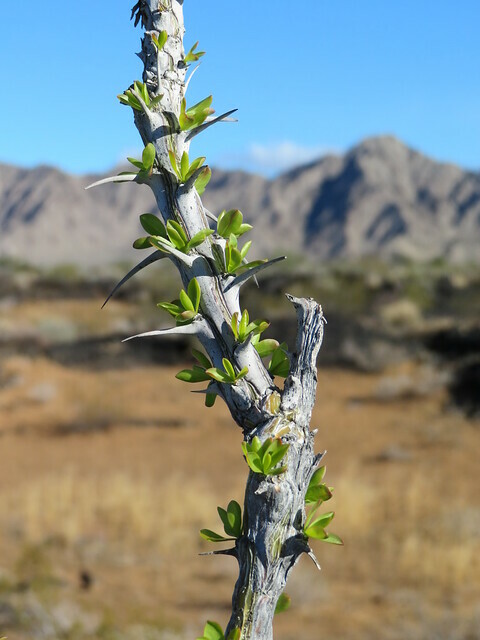 For example, the Ocotillo cactus often produces green buds literally overnight. The sand and volcanic rock really absorb the water, and the color of the park is a bit different. Indeed, wildlife sightings are more common as well. We did spot a very fast jack rabbit, but little else with the exception of beetles and birds. Holding a sliver of hope in seeing the pronghorn or Desert Bighorn Sheep, we came away seeing some interesting footprints left in the moist sand. Realistically, its a long shot you will see any of the endemic mammals considering the reserve is over 1.7 million acres! Now for the craters. Firstly, after some encouraging words from the excellent park ranger, I felt re-assured my sedan would be able to make the 3-4 hour circular route to visit the craters. My confidence was slightly misplaced! If you are in a truck, jeep, van or SUV you will be fine. However, for most sedans the dirt road, while certainly passable, is extremely bumpy and slow work in some portions. There was no danger of getting stuck or anything of that nature, but for about 27 kilometers to the first and greatest crater, El Elegante, it will be an uncomfortable and slow drive. The crater itself is stunning and you should hike the main course of the rim trail. However, in the end we decided not to complete the entire route to the other 2 accessible craters in fear of our vehicle, but also 3-4 hours can easily turn into 5 or more (if you enjoy the hikes). I really love this reserve, and both portions deserve your time. I look forward to seeing which of you journey to this unique addition to the world heritage list. Visitors who have 3-4 days can comfortably visit 2 world heritage sites (El Pinacate + Islands of the Gulf of California). Leaving Los Angeles at 5am, roughly 8 hours later my wife and I found ourselves crossing the border into Mexico at Lukeville, Arizona. No hassle and very quick. From here it takes 1hr to drive to Puerto Penasco, your right-side landscape is the El Pinacate Grand Desert Biosphere Reserve for most of this drive. There are 2 major access points to the reserve, one at the 72km mark, and the other at the 52km mark. Visitors will only access a small portion of this immense reserve, but the vastness of the land will leave a lasting memory. The visitor center (recently built) is accessed at the 72km mark and is well-displayed by large signs. You won't miss it. The turn-off is a paved 7km road that ends with one of the most scenic areas of the reserve. The Schuk Toak visitor center is very much worth visiting and is a excellent facility to plan and learn about this incredible landscape. The staff are friendly and informative. There are short walks and medium hikes that traverse this area. The location was chosen specifically for its diverse and unique surroundings. 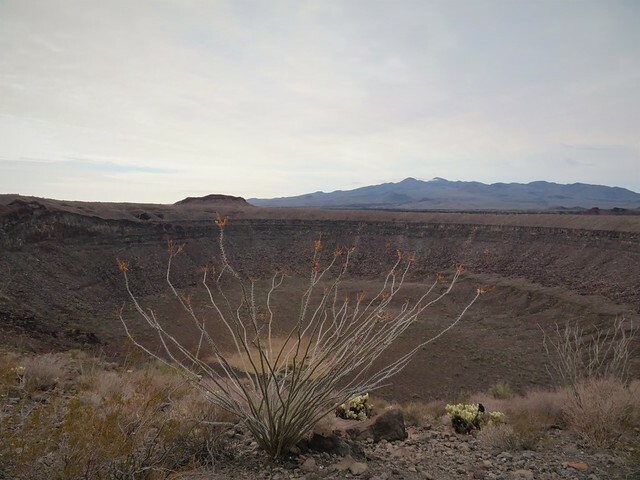 Lava flows are everywhere, diverse plant species abound, massive sand dunes are reachable by a 45 minute hike, and views of El Pinacate are often superb. You can happily spend 2-3 hours exploring this area. The fee for the reserve is 60 pesos ($5) and this fee allows visitors to explore both access points. After one completes their visit of the Schuk Toak area of the reserve, one can drive to the 52km mark and take the more ambitious route to explore some of the reserves wonders. Here at the 52km mark is a 76 km NON-paved loop road (dirt) that leads to some of the reserves massive craters (3 in total). The dirt road is maintained and passable to cars, but it does take at least 3-4 hours with stops. Therefore, visitors have 2 choices when exploring the El Pinacate reserve. Firstly, they can spend 2-3 hours enjoying and exploring the visitor center area. Secondly, if prepared, one can spend another 3-4 hours on a dirt road, viewing the representative craters of the reserve. Be prepared with water and a full tank of gas. Because of time constraints and some concern over our Toyota making the long dirt road journey, we limited our visit to the first access point. El Pinacate is exceptional. The landscape, particularly in March is beautiful and very photogenic. Despite previous visits to several desert national parks/monuments in the United States (Death Valley, Mojave, Joshua Tree, Saguaro, Organ Pipe Cactus, Petrified Forest), I was never disappointed or letdown by this tremendous landscape. 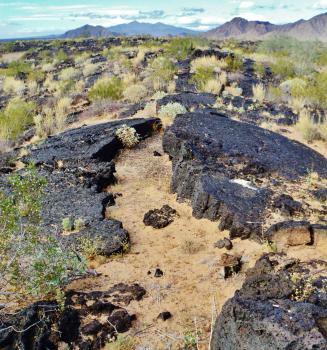 Indeed, El Pinacate in many ways incorporates many of the unique features of these diverse parks into one massive reserve. A worthy world heritage site, and accessible by car for US travelers based in Los Angeles, San Diego, Las Vegas, Phoenix, or Tuscon. While I would be pleased to see the park extended to include the Organ Pipe Cactus National Monument in a transnational property, it is not absolutely critical to the protection of either area, and nor does it add vital areas of importance. Still a worthy extension, but probably not something we'll see in the near future.